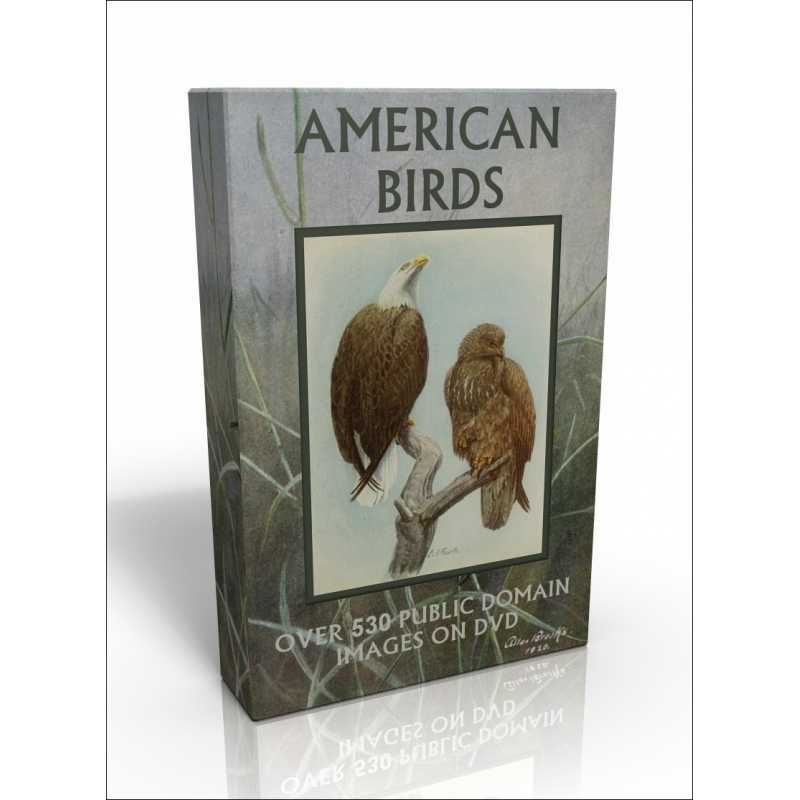 This DVD features more than 530 gorgeously lovely American bird illustrations that are out of copyright and free to use in whatever way you'd like, COMMERCIAL USE INCLUDED! Why do I say they're gorgeously lovely? The pictures themselves are nice of course, great quality scans, but do you know what? 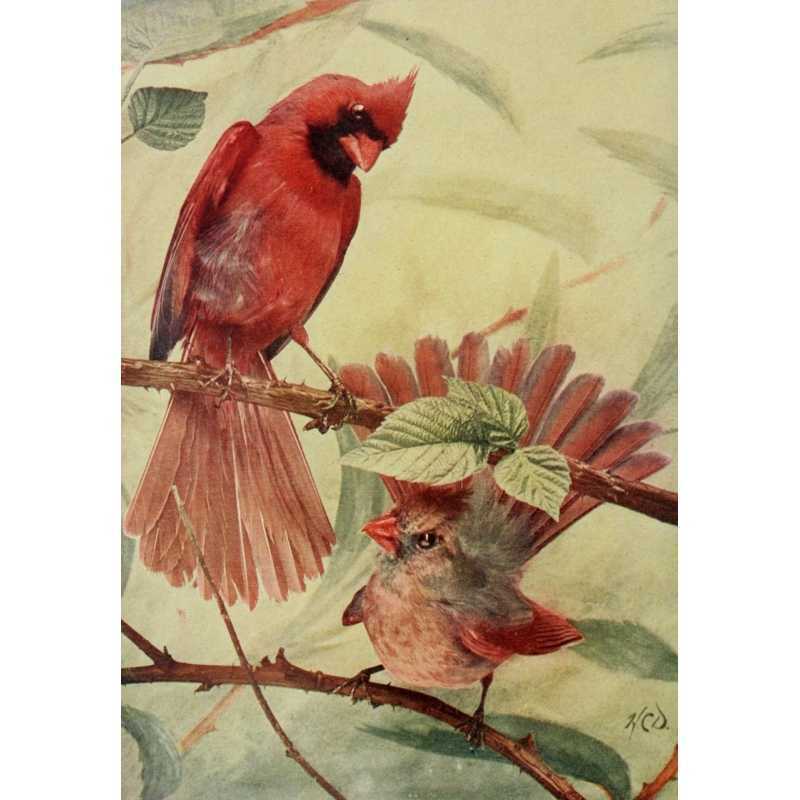 There are thousands, perhaps millions, of people out there that absolutely love birds! You can take these images and make them into any product you like and sell them to the countless bird-lovers out there, making some seriously lovely money for yourself! Make greetings cards, framed prints and postcards, posters, decoupage and pyramage for card-making, collage, altered art, calendars, mugs, mouse-mats, t-shirts, fridge-magnets and so much more! If you only ever managed to make 3 products or so that you sell for £3.50 (under $6) each, you've paid for this DVD - how could it go wrong? It's a no-brainer, this DVD can make you money, lots of it! The images can be used over and over again with no restrictions and no royalties to pay - EVER! Sell your products on Ebay, Etsy, Facebook, your own website, at craft fairs, school fairs, church fairs, in shops - anywhere that there are buyers. Sell for charity, sell for yourself, use the pictures for educational purposes - let your imagination run wild! This DVD contains illustrations from some of the most noted bird artists from the past - Louis Agassiz Fuertes, Allan Brooks, Bruce Horsfall, Chester Reed, Ernest Seton, Ferdinand Schuyler-Mathews and many more. All images are in jpeg format and range from 1000 pixels wide/tall up to 3647px wide/tall. Please note:- the software boxes shown above are for illustrative purposes only - the DVDs are printed, supplied in a plastic wallet and sent in a sturdy cardboard disc mailer. 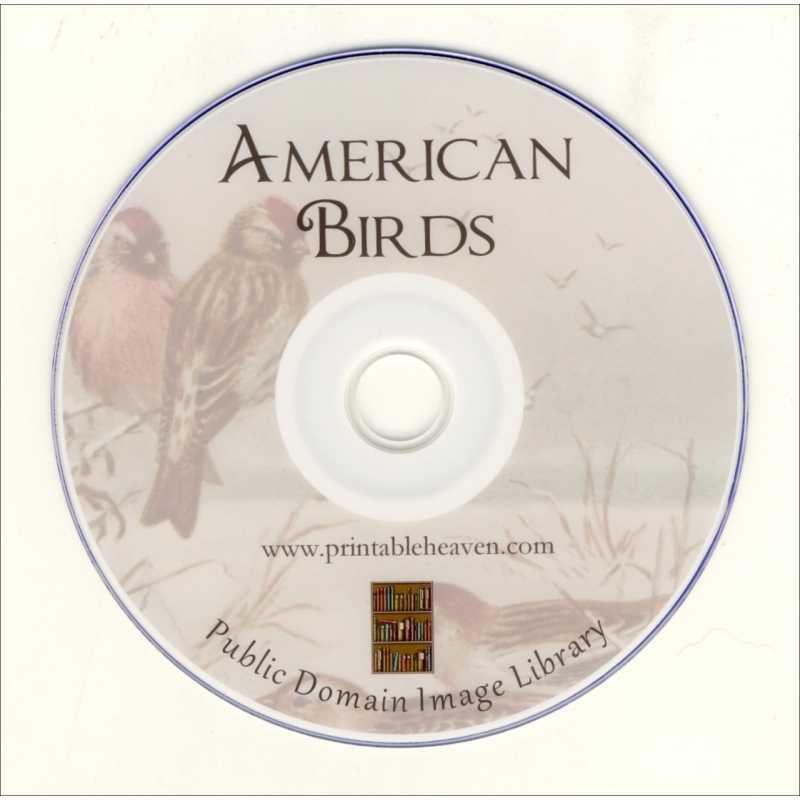 This DVD features more than 530 gorgeously lovely American bird illustrations that are out of copyright and free to use in whatever way you'd like, COMMERCIAL USE INCLUDED! Why do I say they're gorgeously lovely? The pictures themselves are nice of course, great quality scans, but do you know what? 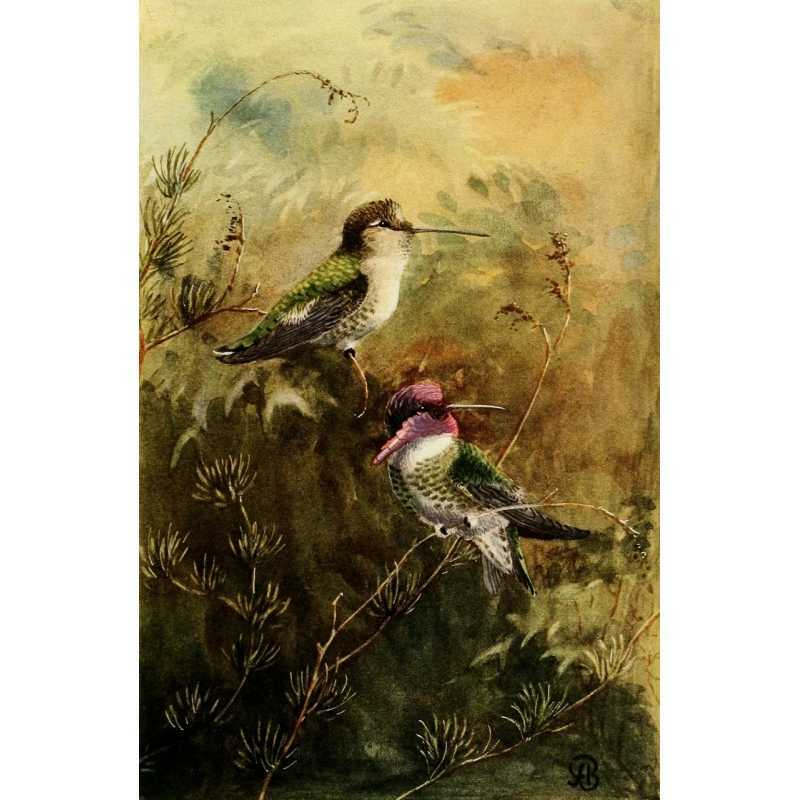 There are thousands, perhaps millions, of people out there that absolutely love birds!